A dear little sampler with a traditional teddy motif embellishing the pattern. 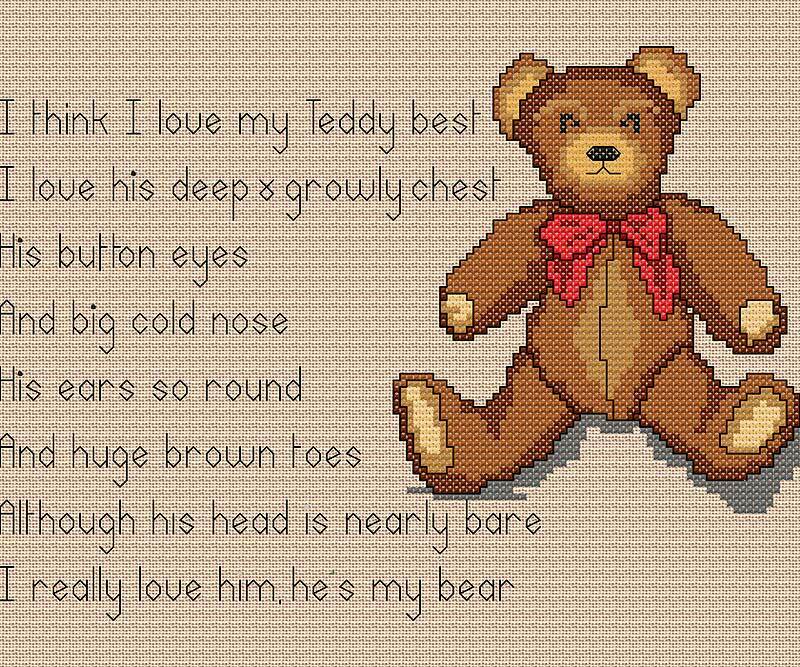 The poem is written in backstitch and the teddy is worked in cross stitch with a few fractional stitches. This may be stitched on linen or Aida fabric as preferred.